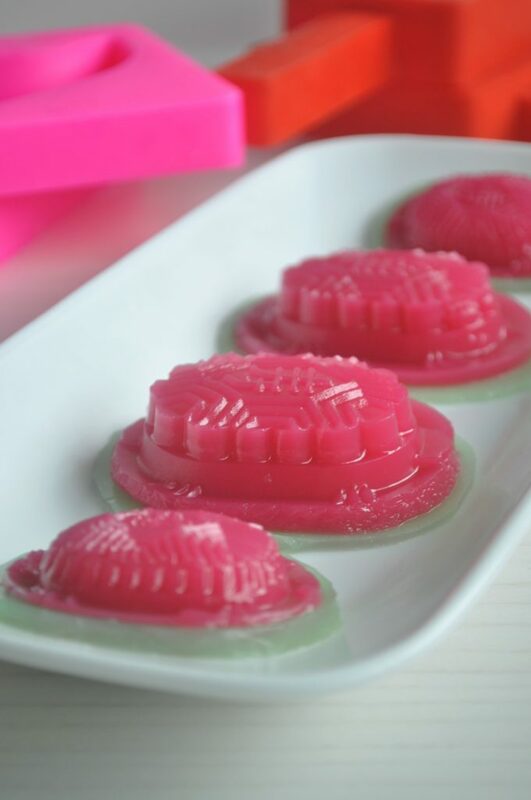 The new year begins on a sweet note with these Peng Kueh/Ang Ku Kueh Agar Agar that contain “fillings”. 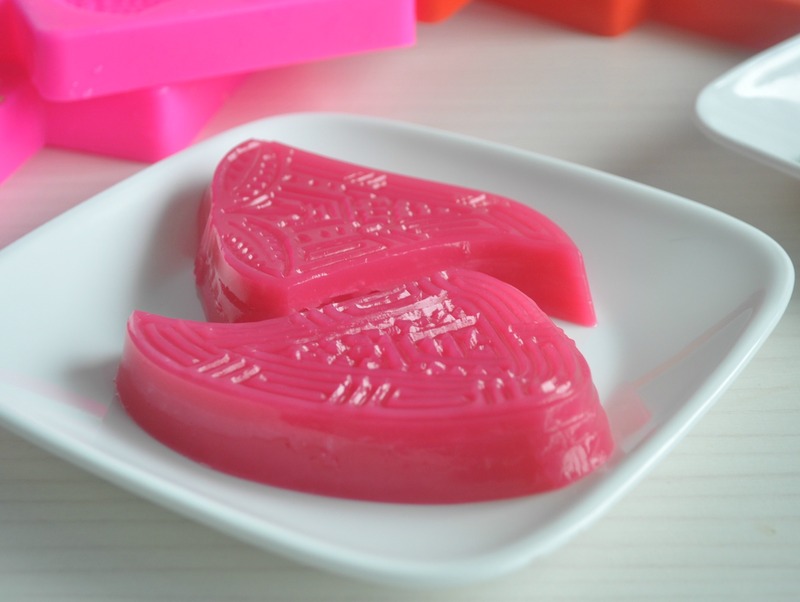 The so-called “fillings” are also made of agar agar jelly as well, so that when you sliced the jelly, they resembles the actual kueh ! 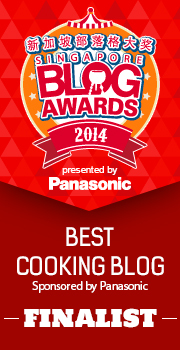 Overall it was a satisfactory experience !! 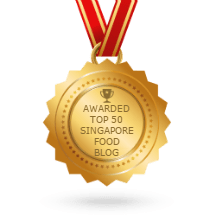 The only setback will probably be the “banana leaf” which was made using agar agar jelly as well to hold the ang ku kueh, was too light in colour. I should have been more generous with the coloring so that they can really resembles the actual thing yeah ! Hahaha !! The peng kueh was actually something extra since I had extra of the agar agar batter. 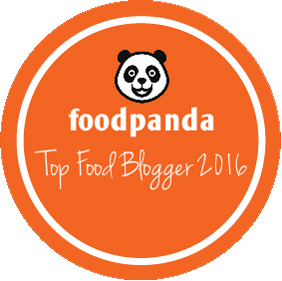 And surprisingly, they seem to come out even nicer than the ang ku kueh. The imprints was more defined and the colour likens the actual ones even better. 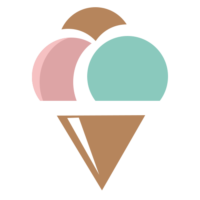 Have fun with these sweet desserts !! Combine the agar agar powder, sugar, water and coconut milk in a saucepan and cook over a low flame till it boils. Off the flame and add some (white) agar agar into a pan (you can use any pan, I used a 8-inch round baking tin) and level it till the agar agar liquid is approximately 0.5cm in height. Using a bowl, add some green coloring to approximately 3-4 tbsp of agar agar and level it in another 8-inch baking tin (I used a square one this time). With the remaining agar agar in the saucepan, add few drops of red coloring to it. 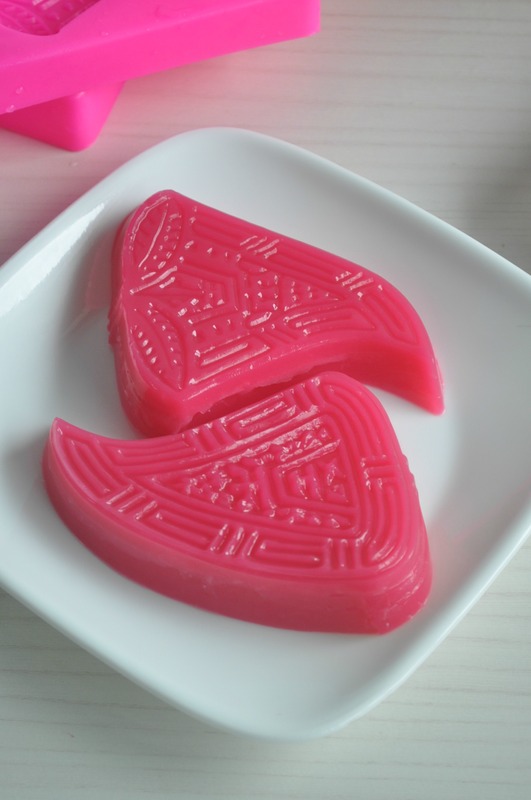 Spoon and add the red agar agar into the ang ku kueh or peng kueh moulds till they are ¼ filled. 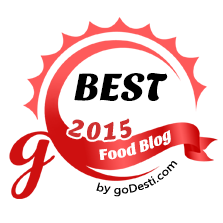 Allow the white, green and red agar agar in the fridge to set. Remove the white agar agar from the tin once set. 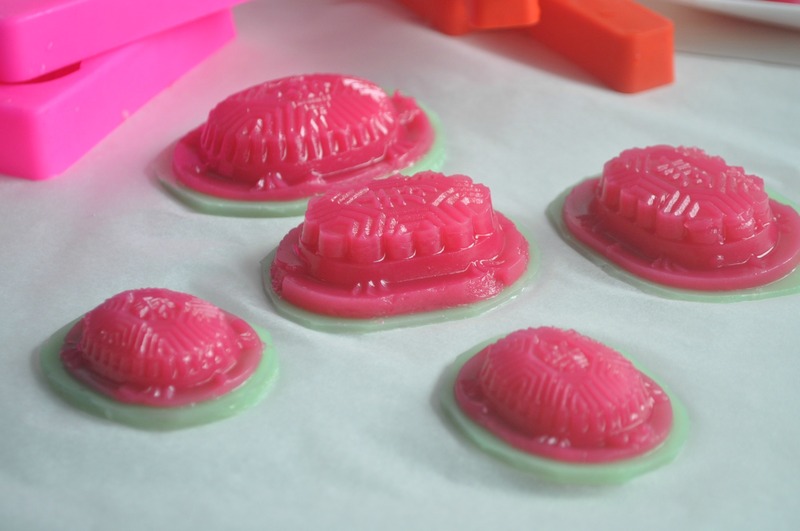 Cut them in an oval shape that's slightly smaller than the ang ku kueh moulds. 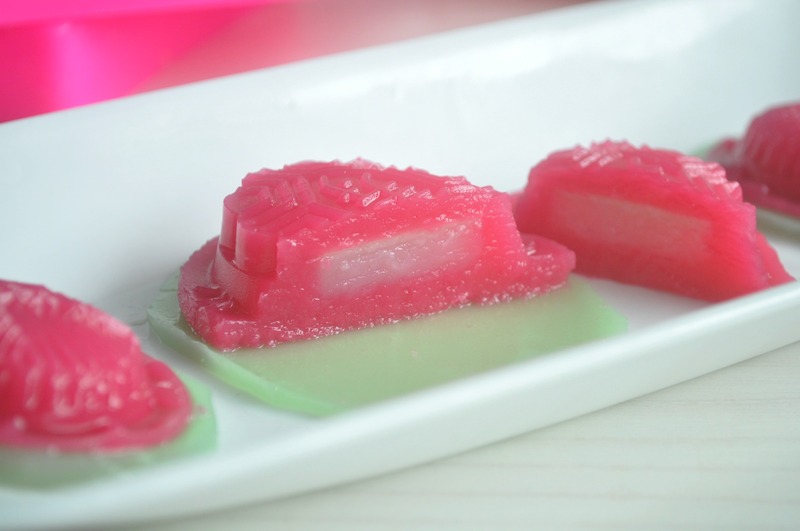 Cut the white agar agar into a similar shape to the peng kueh but slightly smaller as well. Poke holes using a fork into the red agar agar that was set in the moulds. Place a white cut-out shape from the above step into the moulds. Poke some holes on top of the white agar agar cut out shape before filling the moulds to the brim with the remaining red agar agar. Allow it to further set in the fridge. 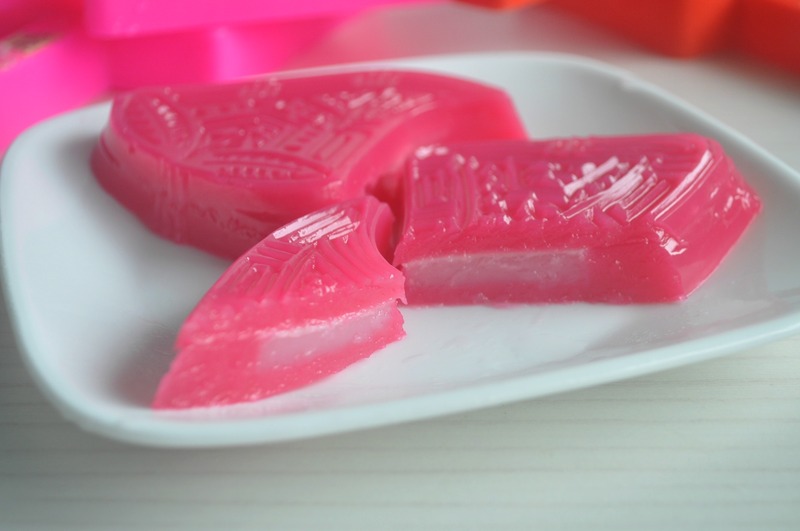 Remove the green agar agar from the square tin and cut out the shape that's slightly bigger than the ang ku kueh. 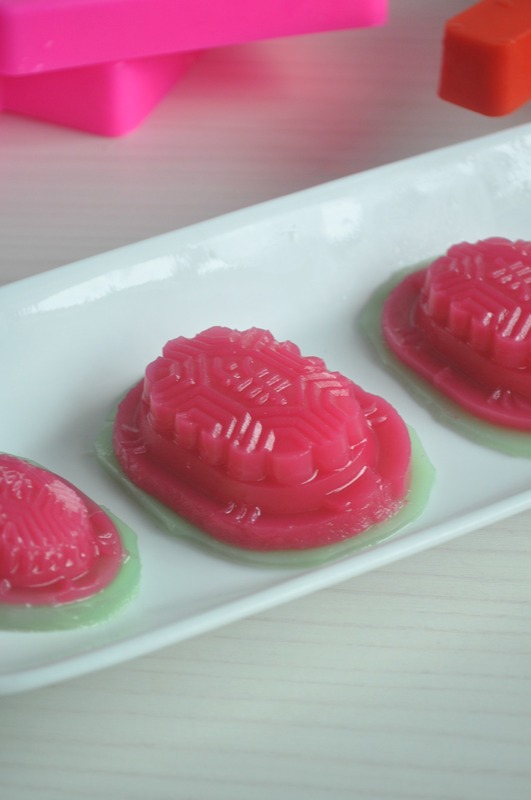 Once the kuehs has set from the previous step, remove from moulds and place them on the green agar agar to resemble the "leaf". Further agar agar making tips can be found on a previous blog post here. NOTE : To ease removing of agar agar from moulds, splash the tin/mould with some water before adding in the batter.